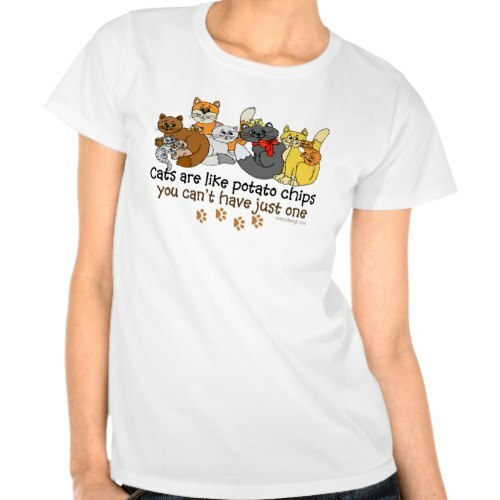 Cats are like potato chips.. you can't just have one! A funny, customizable, cats t-shirt featuring a cute cartoon of a clowder - clutter - glaring of cats of all shapes and sizes underlining the fact yep you can't have just one. A sentiment any cat owner understands well. A cool, fun t-shirt for cat people and pet lovers. Makes a great gift for birthday, mothers day, holidays, christmas, or any regular day for the cat persons amongst your friends and family.